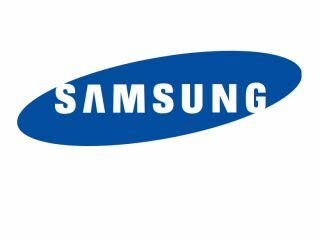 PC Mag has reportedly received an email from Samsung notifying it that the smartphone giant will not be holding a press event at MWC 2012. Samsung went on to say that it will still have a presence in Barcelona and will be holding new product introductions, but away from the bright lights of the big stage. Early rumours stated the brand was looking to hold an event on Sunday evening, but congestion with other press conferences forced it into a re-think. We have been in contact with Samsung and it's looking into this report - but will still certainly have a large stand presence at the event. Update: An official Samsung spokesperson has told T3 "Re. the Samsung conference at MWC, I have just been told that Samsung are not having one this year," They added: "It was never cancelled, it wasn't actually something Samsung planned to do this year. This seems a very strange move as Samsung had used the conference in past years to put on large-scale glitzy announcements. Only last year did we see the Galaxy S2 break cover in a flashy event. It is now being suggested that Samsung's focus at MWC will be geared towards the merge of its Bada OS and the linux based Tizen software. We will be at MWC 2012 to find out what Samsung is actually bringing to the event. We are keeping our fingers crossed for new tablets – but preparing ourselves for disappointment. Are you sad to see Samsung bowing out of the MWC limelight? Let us know in the comment box below.